The After School Program builds empathy for and a connection to nature through a 12-week program that includes nature mentorship, unstructured time outdoors, participant-led inquiry, and exploration in and around the school yard and nearby natural areas. Thorne delivers its one-day per week, twelve-week After School Program at Boulder and Broomfield County elementary schools. Unstructured time outdoors in and around the school yard with a mentor is the key component of the After School Program. The program is non-prescriptive and participant-led, evolving to meet the unique needs, skills and expertise, and desires of participants and allowing flexibility to adapt to the changing seasons and weather. Each week, a new activity is introduced that encourages curiosity and wonder and helps facilitate the participant’s unstructured explorations and play. Activities are planned around a whole child approach to learning that enhances a student’s knowledge (head), actions (hands), beliefs and feelings (heart), and place-based sense of belonging (feet). Together the activities and unstructured time outdoors allow students to build an emotional connection to nature that reinforces classroom learning and motivates them to incorporate nature into their everyday lives. For more information read the FAQ provided below. Teachers or administrators interested in hosting an After School Program at their school can contact Erin Saunders at erin@nullthornenature.org or by calling 303.499.3647 x101. Parents seeking additional information about an existing After School Program can contact Paul Humes at Paul@nullthornenature.org or 303.499.3647 x109. We know that parents need answers to lots of questions before they decide on after school care for their children. 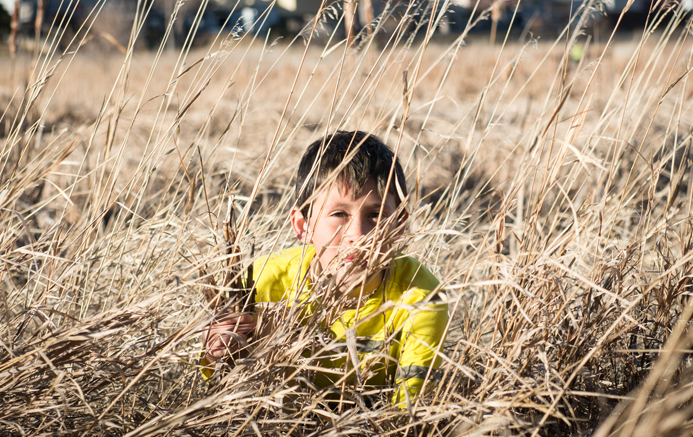 We have compiled answers to a list of the most popular questions parents ask Thorne about our After School program and encourage you to email Paul Humes at Paul@nullthornenature.org or call 303.499.3647×109. What outcomes does the After School Program seek to achieve? The After School Program gives students an increased sense of wonder, attention to detail, and awareness of their surroundings. Research shows that unstructured time in nature, the key component of the After School Program, fosters academic achievement, improves physical health, helps supports social and emotional learning, and develops active imaginations. The connection to nature that is built through the program helps participants to develop an ethic of environmental stewardship. Who Teaches the After School Program? The After-School Program is facilitated by Thorne’s highly trained and experienced full-time team of educators. Whenever possible, the same educator leads all twelve weeks of the program, thereby creating a mentor relationship with participants. What does the After School Program cost? Thorne’s After School program is offered to a school for $3,000 for the 12-week program. Schools typically charge parents $250 to $300 for their child to participate. Most of our programs are subsidized and delivered at little or no costs at Title 1 (low-income) and culturally diverse schools. Students participating in their school’s Free and Reduced Lunch Program can often participate in After School Programs at no cost to their family. The twelve week sessions begin in either mid to late September or early February. What grade levels are served by the After School Program? The program can be delivered for first and second graders or third through fifth graders. Thorne prefers to offer programming for both age ranges at a school simultaneously. It is possible to have other age groupings; however, the maximum number of grade levels that can be served in one grouping is three. How do I register my child for an After School Program? Families will typically receive information about Thorne’s After School Program through student take home folders in early September and early January. Families sign up for Thorne’s After School Program through coordinators at each elementary school. New enrollments are accepted at the beginning of each school semester. How do I arrange to have the After School Program delivered at my school? If you are a parent, speak to your child’s teacher and principal and encourage them to reach out to Thorne. If you are a teacher or school administrator, please contact Erin Saunders at erin@nullthornenature.org or by calling 303.499.3647×101. Please note: Thorne requires a minimum of six months lead time to establish an After School Program at a new school. To ensure quality programs for diverse audiences, Thorne provides bi-lingual (English and Spanish) instructors with ESL experience whenever possible, so that Spanish speakers can fully benefit from participation in the program. Where is the After-School Program held and when does it take place? The program takes place at school and typically begins immediately following the end of the school day. Participants spend the majority of the two-hour program outside in the schoolyard and at nearby natural areas. What activities do participants engage in during the After School Program? In addition to unstructured time outside with a mentor, activities may include: performing science experiments, nature journaling, mapping, wildlife tracking, bird watching, catching insects, creek-side exploration, imaginative play,, building forts, creating art, taking photographs, using field guides, stewardship activities, and so much more! What is required of a school to host an After School Program? The school is responsible for paying for the After School Program, less any discounts received from Thorne to fund the participation of scholarship students. The school collects registration forms and any fees due from parents. The school must also provide a classroom or indoor space that is available for any indoor activities planned by the Thorne instructor or in case of inclement weather. Typically, one member of the school staff must be on site during the After School Program; however, this rule can sometimes be waived. Are snacks provided to participants? Thorne provides a light snack, typically a cliff kids bar, for each participant. Gluten, dairy, and nut free options are available upon request.